Musical Bridges Around the World (MBAW), a non-profit organization in San Antonio took advantage of local and international talent by bringing them to the city. Founded by Dr. Anya Grokhovski in 1998, the Russian-born artist herself made a point to make the art community accessible to all, providing free admission to the public. MBAW’s mission is to create a space where multi-cultural performances can inspire, develop and educate new audiences. From January 27 to February 4th, the community was able to enjoy shows featuring classical, jazz, and ethnic folk musicians. Celebrating their 5th International Music, the festival offered eight diverse productions all held at the Empire Theater and San Fernando Cathedral. Featuring artists from Russia, Serbia, Czech Republic, Spain, Japan, China, Mexico and even some San Antonio natives will take part in the scene. On Saturday, Feb. 3 at 7:30 pm The Sister City Jazz Ensemble took stage at Empire Theater. Dr. Aaron Prado, San Antonio jazz pianist and composer was commissioned by Musical Bridges to put on his new composition “San Antonio”. 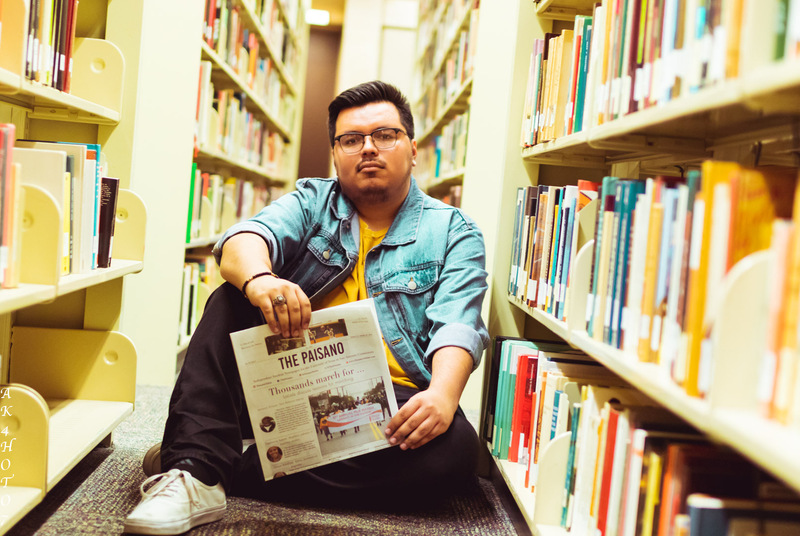 “San Antonio” brought together Sister and Friendship City musicians to celebrate their cultural heritage but also let them put their stamp on the San Antonio artistic community. As for the city, it was “a great moment for us to draw the eyes and ears of the world to recognize not only the richness of our past, but demonstrate our relevance and ability to serve as a world-wide cultural ambassador at this delicate moment in history. We’re a city with a history, but more importantly, we’re a city with a present and a bright future as well” says Prado. The unique mixture of vocals and instrumentals made for a performance both exuberant and stilling. There was a oneness amongst the group that brought a sense of friendship and acceptance. Each member of the ensemble was individually featured with an original piece, yet accompanied by the other members to enhance the cultural togetherness of the performance. With some performers arriving to San Antonio just the day of the event it showed true talent and was “the most complex musical project I’ve ever been part of – bringing 12 artists together to play each other’s music was not easy! And I as music director I felt a great weight of responsibility to ensure that each musician’s feature was well-rehearsed and well-performed” but was all worth it when the real magic happened on stage with the audience listening – all these great musicians really flexed their creative muscles and the music just soared. I’m really happy that each musician was able to shine and be featured individually, but also that the group played so well as a unit. Here are all these artists who were strangers just a few days ago from countries all around the world inspiring each and other working like a family to create art. I really thought it was a triumph both as a symbol of international cooperation and as a musical performance of the highest caliber” said Prado. 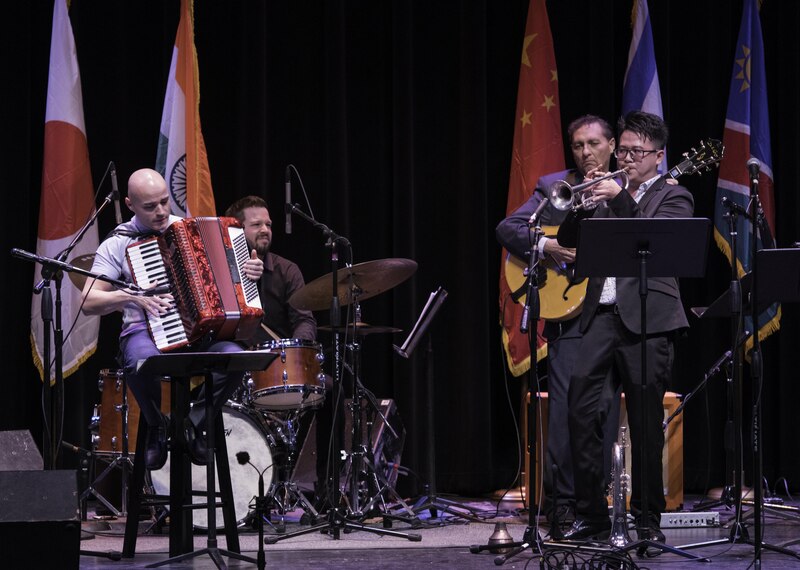 Whether it was the powerful vocals of some, or the chilling instrumentals of others, the International Sister City Jazz Ensemble demonstrated variety, passion, and a sense of euphoria. “By the end of the show I felt that not only was the effort worthwhile, but that this turned out to be one of the most meaningful, rewarding musical experiences of my life. As a composer, it was surreal to hear my music played by a group will quite likely will never be assembled again” expresses Prado. MBAW will be hosting “Keys in the Wind” on March 28 that will feature SoundMind, an ensemble of five winds and by Russian concert pianist Svetlana Smolina; as well as their 20th Birthday celebration featuring Founder’s piano duo AleAnya, Boris Andrianov, and Dmitri Illarionov on May 6. Both will be free and open to the public.